A community of Atheists, Freethinkers, Humanists, Rationalists, and Secularists deeply concerned with the preservation of our First Amendment protections against religious tyranny. The VA-MD-DC area is home to one of the largest populations of Atheists in the U.S. Unfortunately, we are scattered among over 20 diverse organizations with little interaction or coordination. Many individual Atheists are unaffiliated with any group and feel isolated. Given the current political climate and the rising tide of rabid christianism, there is a strong need for the non-religious to stand together as a visible community, with a combined voice and a common focus. We will serve as a home for everyone who has risen above religion. We will be a social framework for those who wish to be part of a larger community, providing social events, a support network, reinforcement, and friends. We will also provide opportunities for engagement for those who desire activism. We will originate and participate in public events to raise visibility and awareness of our presence and our Constitutional position. We've been active for about a year now, and are becoming better organized. We do tabling, happy hours, brunches, counter protests, and have a forum. If you know someone within your group who'd like to do a show adressing these Constitutional issues www.freethoughtmedia.com is always looking for broadcasters. And maybe Brian(Sapient) I don't know how busy he is, but maybe his "Rational Responders" could have you on for a segment of their show disscussing these issues. Heay, kinda off topic, but I'm pritty sure I've seen that 'Church ray of hope' image on DeviantArt before, if you could, that is, if you got it off the DA(and I really hope used with the artist consent), please link me? Thanks. She's been trying to get on POI's radio show, and Infidel guy for a while. We're both friends with someone in New York who works for COI. Glad to see organization. This is key. 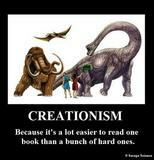 The theists have churches to organize the masses, we must counter with the same level of organization. Good to be on board. I live in Richmond, VA not too far from the beltway, which is where I lived for 10 years. I'm glad you joined Beltway Atheists, hopefully you can make it up to a few events. I personally am glad to see such a great resurgence of organization in the Free Thought community. Our time is now! Parking on Fort Myer Drive and Oak Street. BBQ on the Oak Street Side of the Building. As the sun sets, we walk a couple blocks to Iwo Jima Memorial and watch the fireworks! We're Shooting for 50-100 Atheists! 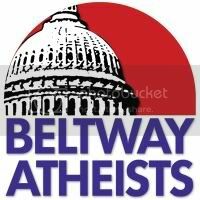 There is NO Capital Beltway Atheists ONLY Beltway Atheists Inc. Your home page is undergoing routine maintenance. We apologize for the inconvenience! Do you have any regular meetings?